Popular culture inevitably absorbs counter-cultural symbols and gestures. Think about the hippie peace sign or the rocker’s devil horn salute. More recently, inner-city gang hand signs are routinely “thrown up” by friends posing for pictures and by celebrities in magazines. Meanings sometimes evolve through technological advances. 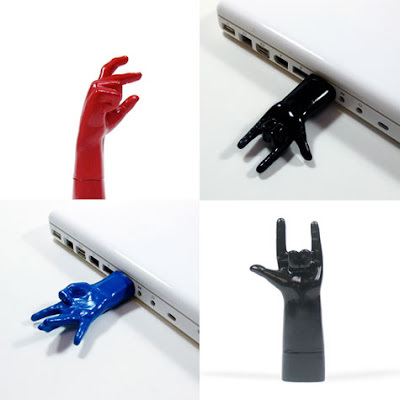 The Hand Sign USB key pays respect to the remarkably expressive human hand. Hand Sign USB is available in a range of gestures.